Day of Game prices increase by $2.00. 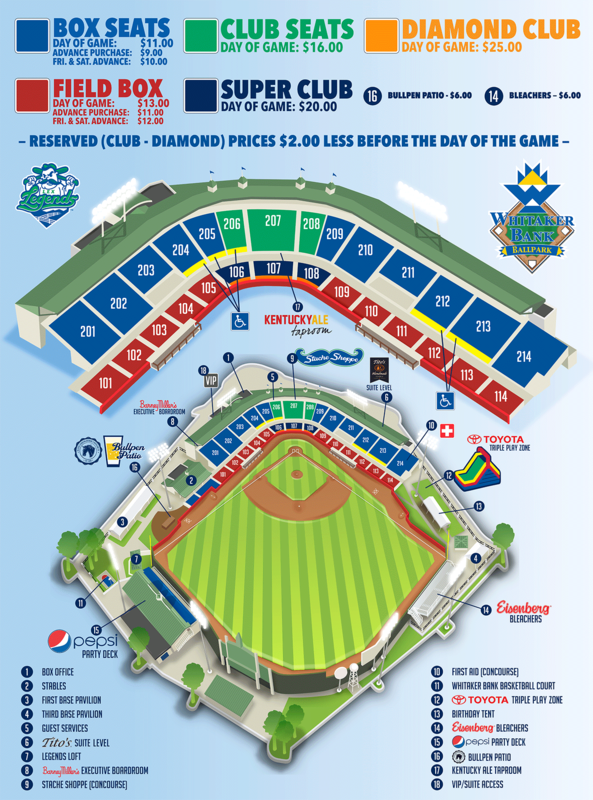 Call the Legends Box Office at (859) 422-7867 for Bullpen Patio and Bleacher pricing. What if I only want to buy tickets to one game, and not the entire package? Individual playoff tickets are currently on sale now, click the green button on the game above. What if I bought the 3-game package, or individual games and they are not played?